Observation - Lycogala epidendrum - UK and Ireland. Description: A slime-mould (not a fungus)growing on a tree near Charlwood, West Sussex. 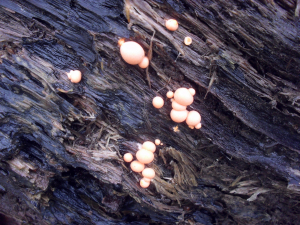 A slime-mould (not a fungus)growing on a tree near Charlwood, West Sussex.